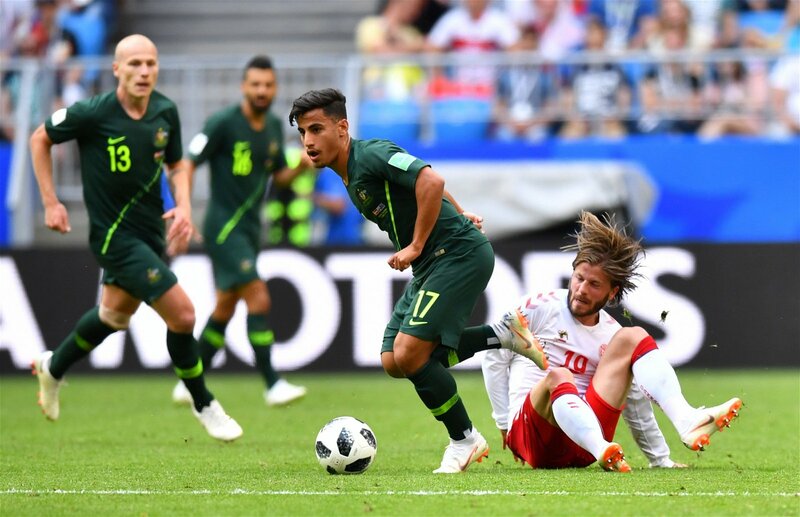 According to reports in The Daily Record, Celtic have an agreement in place to sign Daniel Arzani on a long-term loan once Manchester City buy him from Melbourne City. Well, The Daily Record report that the exciting teenager, who impressed in cameo roles from the substitutes’ bench for Australia at the 2018 World Cup, is set to join Melbourne’s parent club Man City in a cut-price deal. The Daily Record then says high-level discussions have already taken place that would see the 19-year-old move straight to Celtic Park on loan for at least the next two seasons to continue his development. The report adds that a number of European clubs were interested in the talented teenager, including Serie A giants Roma, but the idea of linking up with the Cityzens and then going out on loan to get regular first-team football obviously appealed to him more. Will he be a good Celtic signing? The Bhoys are in desperate need of a wide player following the departures of Patrick Roberts and Charly Musonda back to Man City and Chelsea respectively after loan spells in Glasgow, and Arzani showed the ability and quality he has in Russia – albeit in short bursts from the bench. The 19-year-old is considered to be his country’s most exciting young player since Harry Kewell though, and with two and goals and three assists in the A-League last term he has certainly shown that he can make waves in the Scottish Premiership with Celtic, who must make a controversial but inspired move to snap up a former Rangers attacker, too. Playing alongside national teammate Tom Rogic will certainly help him, and he would undoubtedly be the club’s most exciting signing since they got striker John Guidetti back in 2014.